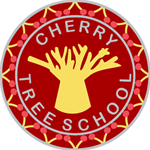 We are very privileged to have an enhanced provision at Cherry Tree Primary. The Speech and Language Centre (SLC) is run by Mrs Morariu (SENCO). We currently have 10 places for children with specific Speech, Language and Communication Needs. The purpose of the SLC is to provide tailored and specialised support for children who have an EHCP for SLCN. The children can join our SLC at any stage of their school career, and we encourage parents to come and visit us to see first hand how the SLC functions alongside the mainstream setting. Our children are based within a mainstream year group to encourage social integration; they then attend specific lessons in the SLC with Mrs Morariu and other professionals. Mrs Morariu is our Speech and Language Lead Teacher. She is also an experienced teacher and SENCO. The Specialist Teacher Team for Speech and Language come in to work with staff and children on a regular basis. Lisa Gridley is a senior member of this team and supports us with the Assess, Plan, Do, Review process. Across the school we have several SLC LSAs who work primarily with children from the enhanced provision within the classroom setting. Many of the children who join our provision have been referred by a Healthcare Professional (Speech and Language Therapist) or a member of the Specialist Teacher Team for SLCN. When a pupil is requesting to join us within the SLC we would always encourage the parents and carers to come and visit us and meet with Mrs Morariu. This visit could be accompanied by a member of current school staff, e.g. SENCO or a Specialist Teacher. We would also welcome invites to the child's Annual Review / Transfer Review, so that we can offer advice or support to ensure our provision is the correct placement for the child. All admissions to the Speech and Language Centre would need to be made through the Annual Review or EHCP Application process via Statutory Assessment Service (Essex County Council).